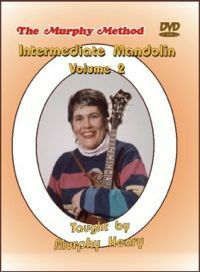 Intermediate Mandolin Volume 2: Now your fiddle-playing friends are bugging you to learn some fiddle tunes on the mandolin. We are happy to oblige with these five standards, all in the key of D. Great for jamming! No Tab.